Sir Pigglesworth brings mischief and mayhem to NYC! JoAnn was born in New York state and grew up just outside of New York City with some years spent living in Manhattan. She spent 20 years upstate in Kingston, NY before moving to Mesquite, TX, a suburb of Dallas, in 1986. JoAnn is married, and between her and her husband they have 5 wonderful children and 6 beautiful, rambunctious grandchildren. She and her husband Bill recently retired. 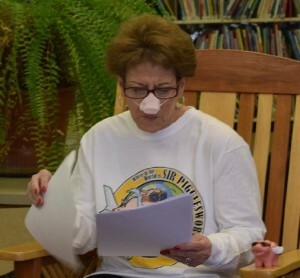 JoAnn is the creator of The “Sir Pigglesworth’s Adventure Series” which first came about when JoAnn’s church gave out a flying pig stress ball for the congregation to take around with them over the summer and post pictures on Facebook. Everywhere she went people smiled and laughed and were excited to have their picture taken with Sir Pigglesworth, as she dubbed the pig. The idea slowly blossomed until it became clear that Sir Pigglesworth’s adventures needed to be shared with children around the world. With a mission to share smiles around the world, young Sir Pigglesworth is inspiring a whole new generation of children, parents and educators. Sir Pigglesworth is the five year old star of a charming new adventure series. He is an adorable and lovable young piglet who travels around the world exploring new places and learning about the culture of each country and city he visits. And the excitement is just getting started! The “city that never sleeps” is in for a rude awakening! Sir Pigglesworth brings mischief and mayhem to the Big Apple. 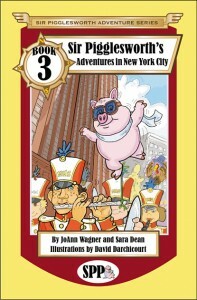 The excitement continues in this beloved new children’s adventure series, as Sir Pigglesworth tackles new adventures that expose the magic and allure of New York City. 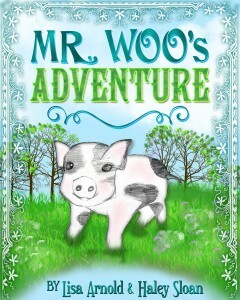 Book 1 introduces readers to Sir Pigglesworth and his new friends who accompany him on his first few excursions. He “misplaces” his parents in London and ends up lost in Texas. 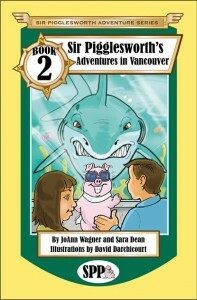 Book 2 launches this month with Sir Pigglesworth on the hunt to find his parents in Vancouver, BC in Canada. Several fascinating adventures are on deck that includes Paris, Dublin, Chicago, and much more! Children, Parents and Teachers can look forward to a steady stream of adventure, fun and snorting thanks to the creative and committed vision of series creator JoAnn Wagner. New adventures are scheduled for release every other month in 7 languages and each release is preceded by a FREE Sir Pigglesworth coloring book. Get a FREE Sir Pigglesworth Coloring Book! Book 2 launches this month with Sir Pigglesworth on the hunt to find his parents in Vancouver, BC in Canada. Several fascinating adventures are on deck that includes New York City, Paris, Dublin, Chicago, and much more! *New! Expanded Story and Vivid New Illustrations! Deep in the countryside, past the city limit signs, lived a little piglet and he was one of nine. Come along with Mr. Woo as he learns that the world is really bigger than he expected! Mr. Woo is a curious but lucky piglet. One day, he decides to sneak away and have his own adventure over by the pond. He looses track of time and gets sleepy. When he wakes up, it’s dark! Frightened, he runs in the dark, moving further and further from his home. How will he ever get home again to his mother and nine brothers and sisters? As his mother is frantic with worry, Mr. Woo is worried he won’t be able to get home. When the morning arrives he is faced with the dilemma of how to go home. With no directions, he sets out on his own path, meeting some animal friends along the way. Young authors Lisa Arnold (age 11) and Haley Sloan (age 13) have created a lovable character in Mr. Woo. Illustrated by Lisa Arnold.